Report: Jordan Clarkson acquired a Philippine passport before age of 16 - Balita Boss! Los Angeles Lakers Fil-Am point guard Jordan Clarkson might eventually get a chance to play for Gilas Pilipinas. The Samahang Basketbol ng Pilipinas (SBP), the national basketball federation of the Philippines, confirmed that Clarkson has a Philippine passport before turning 16, CNN Philippines reported. Under FIBA rules, a foreign-born players could only play as a "local" if he was able to secure a passport from that country before turning 16 years old. Otherwise, he could only suit up as a "naturalized" player. CNN Philippines asked SBP Executive Director Sonny Barrios if Clarkson does indeed have a Filipino passport and if he has had the passport before the age of 16. “Yes to both questions,” Barrios said in a text message. SBP director Sonny Barrios told Rappler that Clarkson and his camp submitted the needed documents required by FIBA to make him eligible to suit up for Gilas Pilipinas. “It has been submitted to FIBA, who’s asking for supporting documents. As we speak, those are being submitted to them,” said Barrios. 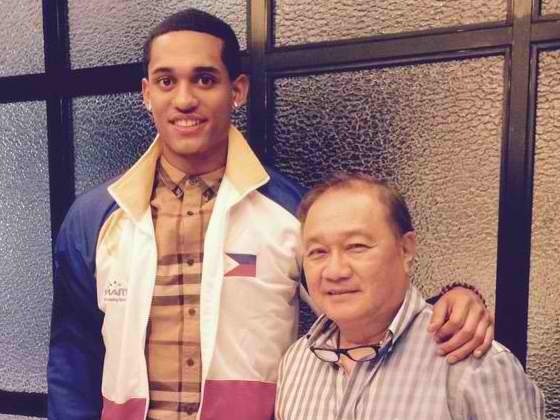 Philippine national men’s basketball team coach Tab Baldwin could only hope and pray, just like the rest of the millions of Filipinos, that FIBA changes its rules regarding foreign-born players like Filipino-American Jordan Clarkson who want to play for flag and country. Continue reading on InterAksyon.com. The SBP announced Sunday (August 23) that Fil-Am and Los Angeles Lakers guard Jordan Clarkson has stated his desire to be part of the Philippine national team. Continue reading on CNNPhilippines.com. Jordan Clarkson will be back once again in Manila on Monday, August 24, and has been invited to "observe" Gilas Pilipinas practice during his stay, according to a statement. Continue reading on Rappler.com. With Jordan Clarkson set to observe a couple of Gilas Pilipinas practices, hopes have been raised again as to the possibility of the LA Lakers guard suiting up to play for the Philippines. Continue reading on SlamOnlinePh.com.